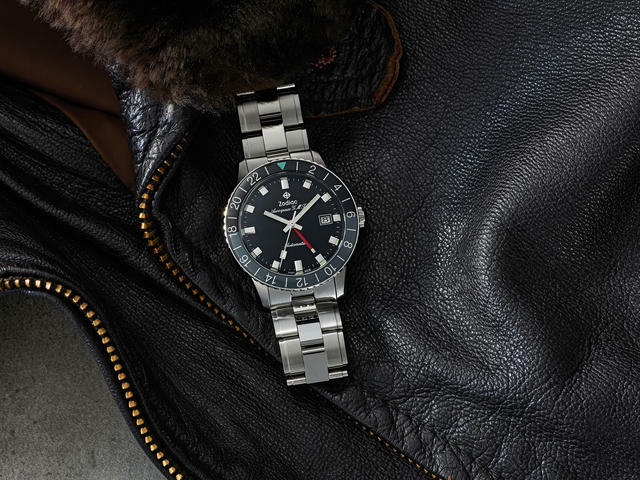 As Baselworld 2019 starts, Zodiac announces a new limited edition version of its Aerospace Greenwich Mean Time (GMT) watch. The retro-inspired watch will be made in two 40mm versions. 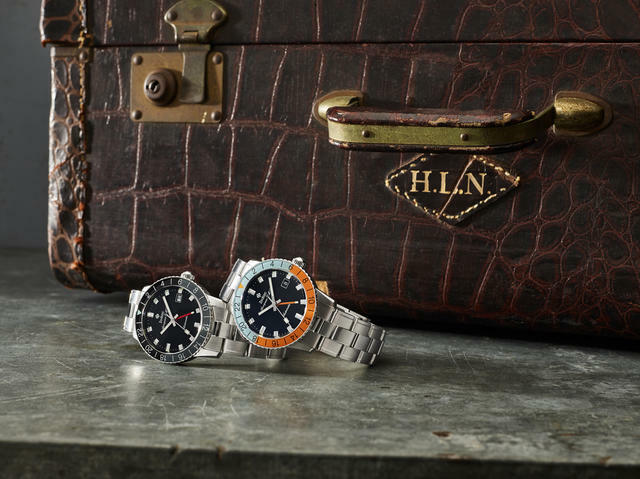 One will feature a black dial with a grey 24-hour bezel (the historically authentic colors) while a second will utilize a light blue and burnt orange 24-hour bezel around a black dial. Each watch is powered an ETA 2893-2 automatic movement and is attached to a steel bracelet. Zodiac plans to make 182 of each model, a nod to the brand's inception is 1882. Each case back will be numbered. 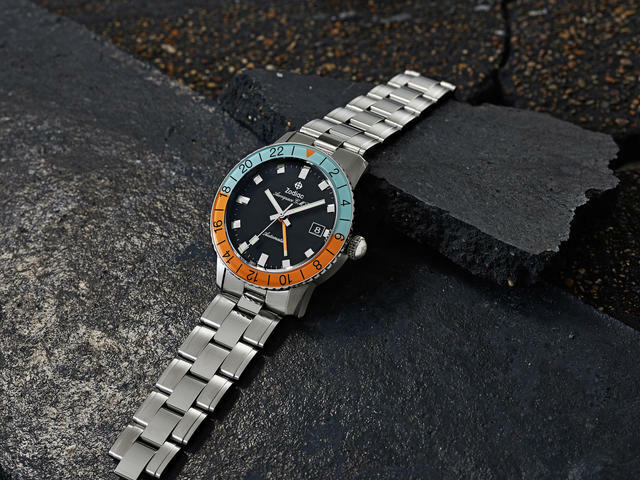 Zodiac originally created this GMT watch in 1966 as an evolution to the Zodiac Super Sea Wolf series. The limited-edition collection will be available online at www.zodiacwatches.com starting March 20. Price: $1,695.